7 Amazing Red Wine Benefits For Anti Aging You Don’t Know! Many people enjoy a glass or two of red wine during dinner or a late lunch. However, besides from the taste that many of us may enjoy. There are definite benefits of drinking red wine. 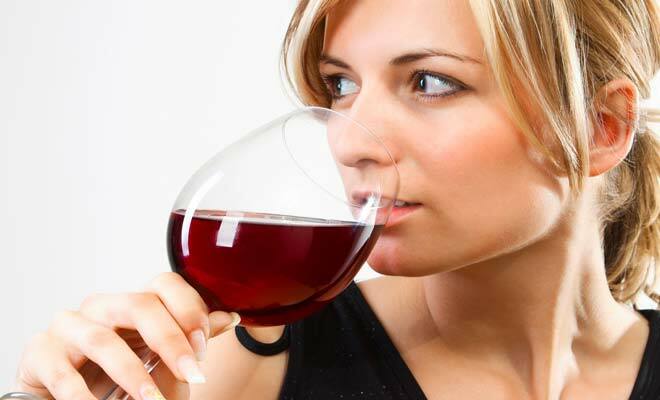 In fact, various experts will say red wine is extremely beneficial when it comes to your skin and anti aging. Aging is a natural process that we cannot stop or evade. Although, you can’t completely stop the signs of aging, there are ways you can slow down the process of aging and that is when red wine is involved. Red wine can actually help you slow down the common signs of aging skin. The reason being it is filled with potent antioxidant properties that can help you get rid of harmful radicals in your body. Here are 7 amazing benefits of red wine for anti aging that you had no idea about. Recently wine facials have become all rage. People have begun to notice how wonderful wine on your actual face can be. Drinking red wine is great but using it directly on your face can double the benefits your face receives directly. One of those benefits is rejuvenation of the skin. Its therapeutic properties will destress and rejuvenate your skin allowing your skin to come back to life. 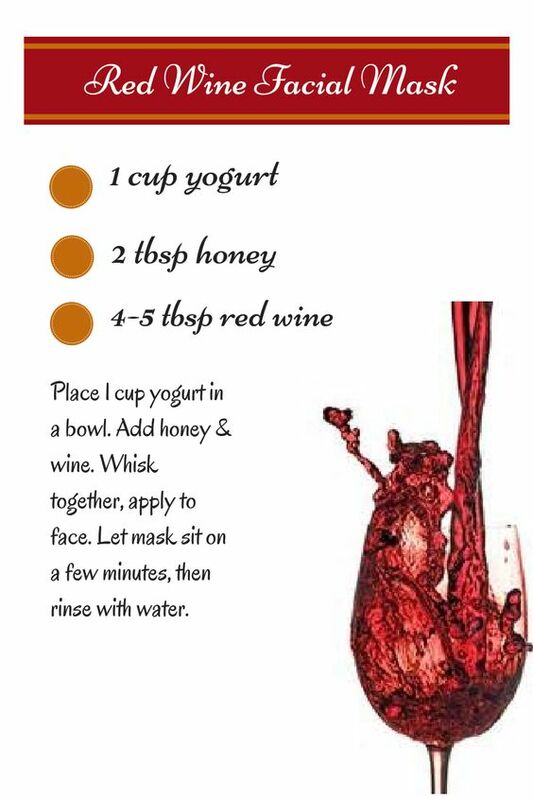 If you have dull skin a red wine facial may be the way to go. It helps remove dark spots and blemishes off of your skin. Yes you read that correctly red wine can actually help you fight acne. The antioxidants in red wine help your body fight off acne causing bacteria as well as remove any acne that you may already have on your skin. Applying the red wine directly on your zit or pimple will directly kill the bacteria. You can accomplish this by soaking a cotton ball in red wine and applying it directly onto the affected area. If you have oily skin, you can apply red wine soaks all over your face to combat oil and make you look matte. Red wine specifically organic red wines are filled with flavonoid, resveratrol and tannin these components are very good for the skin. They help plump up fine lines and wrinkles that are already on your skin. While helping fight the reoccurrence of new fine lines and wrinkles. The ingredients in red wine fight free radicals and aging by restoring collagen and elastic fibers in your face. This will help plump up any sagging skin you may have as well as lighten any existing hyperpigmentation. Hydrated skin is youthful looking skin. The simple act of drinking red wine can help stimulate the development of new cells in the skin’s outer layer. It helps to improve the hydration in your skin. By improving the hydration in your skin you will begin to notice your skin will appear young, supple and glowing. If you have dry skin, you will begin to notice how your skin will appear more hydrated and moisturized over time. 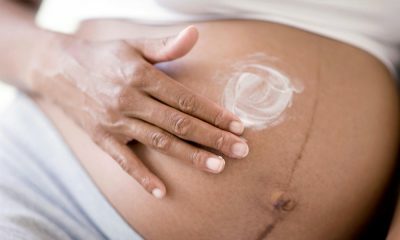 You will also notice your skin will not need as much moisturizer because it will already look and feel moisturized. We all know how damaging too much sun can be for your skin, especially for aging. The harmful rays of the sun can cause your skin to age twice as quickly. Red wine can actually contribute to the protection of your skin from those harmful sunrays. Red wine is full of amino acids that contribute to the protection of your skin from the harmful rays of the sun. These amino acids also help boost skin renewal which makes your skin want to fight off the sun rays that cause damage. It also makes your skin resistant to damage. Large pores have a tendency to affect many if us, especially if you wear makeup. Think of your pores like small balloons that you fill with water. Over time that balloon will continue to stretch and it will never go back to being its original size unless you take good care of it. The same is the case with our pores. The more products you put on them the more our pores open up which makes them appear larger than they are. Luckily, unlike the water ballon our pores can shrink back to their original size. The way to do this is to use a suitable toner after you cleanse your face. That is when red wine comes in. 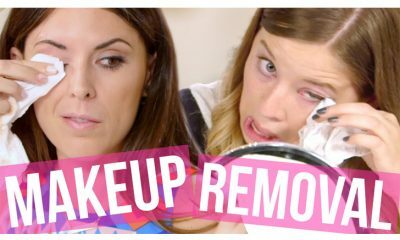 You can actually use red wine as a toner to combat breakouts and clear your pores. The best aspect about red wine when it comes to anti aging and skin care if the fact that it calms your skin. The antioxidants and vitamins such as C and A that are in red wine help calm your skin. 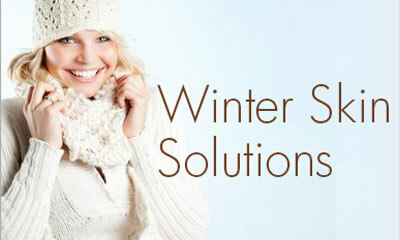 If you are affected by rosacea, redness in your skin, break outs or overly sensitive skin. Drinking or directly applying red wine on your face can help you combat every aspect that irritates the skin. You can apply red wine as a toner and leave it on your skin, or you can use it as rinse on your face. If you choose to apply it directly onto your face, those would be the best options. Meanwhile, if you choose to drink it be sure to drink two cups of red wine a day to be consistent. Although, red wine is an alcoholic beverage and you must be 21 to drink it. It is very beneficial for your health and for your physical appearance especially when it comes to aging. Make sure the red wine you decide to drink or apply on your face is organic as organic red wine has a higher percentage of antioxidants. Let us know your thoughts on using red wine as an anti aging product.